Your tour starts from south Los Angeles and travel along the coast of Southern California. Here you will stop at La Jolla cove along the shore, home to the new wave of the young, rich and successful the new "Beverly Hills" for an amzing view of the California Coast then continue south to San Diego, the second largest city in the state. 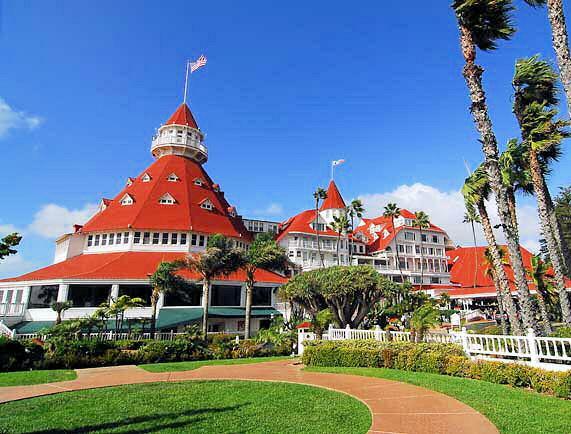 Start your visit at the seaport village and try to understand why San Diego ranks in the top 5 best cities to live. You will have time to board the USS Midway - a real life aircraft carrier turned into a museum, The USS Midway Museum is an unforgettable adventure. Go to sea without leaving port! Explore more than 60 exhibits with a collection of 25 restored aircraft's. 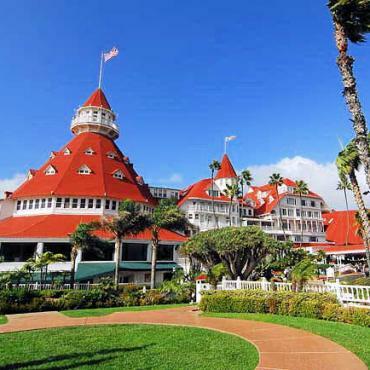 After the tour of the sea you will continue to Coronado-Island to see “The Del Coronado”, the historic hotel and the largest building in the USA built entirely of wood. A favourite hotel with heads of the state, US Presidents and movie stars...Marilyn Monroe even filmed the movie “Some Like It Hot” on the premises! End the day at the “Old Town” where the first Spanish village was founded in 1769 see the original settlement and visit the “Bazaar Del Mundo” the world market which offers souvenirs from all over the world. This tour departs on Tuesdays and Thursdays only. Air-conditioned van or bus and guide included. Entrance to the Aircraft Carrier USS Midway included.